After more than 240 kms with heavy rain in the morning, climbing from 600 to 2000m to the Klausen glacier and 3 flat tire the day team (Mike / Craig / Jie / Lars / Aaron W / Ihab / Eric / Stefanus / Barbara / Cristianne / Satochi / David R / Franck) arrived at Brienze at 18h40 with everybody tired but in good physical condition. It is more than 2 hours behind schedule but we still have enough buffer to reach Geneva following the initial plan.Very special note for David Robertson who cycled 240kms! When I am 47y old I would love (dream!) to be able to achieve such performance! 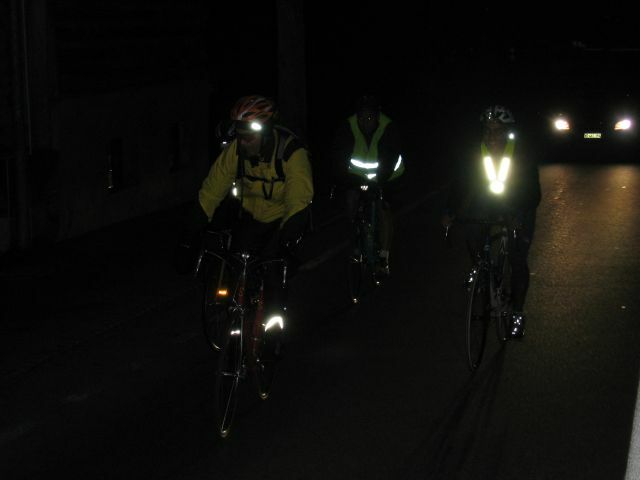 The "night riders" (Bernard / Nanang / Raphael / Carolina / Luis / Nicolas B / Omar / Ken / Jodok / Cristianne / Mike / Craig) took over and are expected to arrive in Pully tommorow between 5 and 6.30 AM. They will cycle through the night and handle the cold weather, fatigue and difficult orientation to make our challenge a reality for our project : Hands on Argentina (HOA). 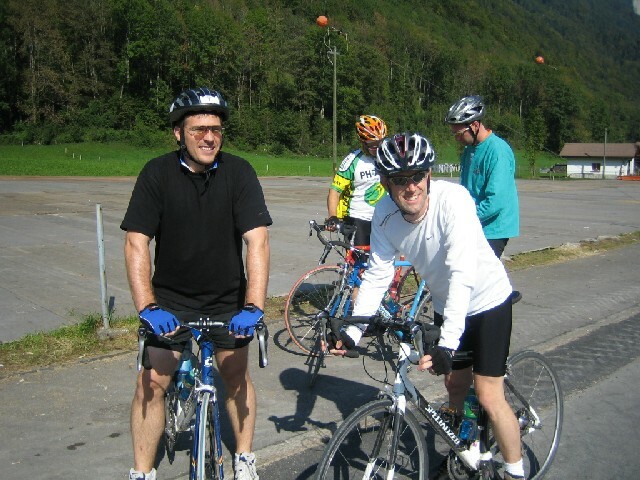 Team 6 (Cristianne / Mike / Craig / Nanang) cycled all the way until Interlaken.Team 7 (Omar / Luis / Carolina / Jodok) are currently making their way to reach Thun. The condition are good and the road is relatively flat (from 300-900m max). 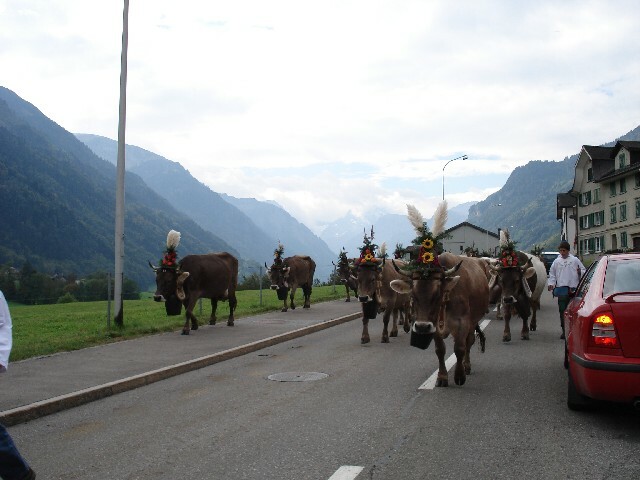 We wish them a safe trip until Pully and address a huge BRAVO to all the MBA 2006 athletes! SK, live from the front for HOA. The weather is now better and the team is climbing uphill. It is crucial to maintain pace to keep the Swiss time - luckily the weather is better. Here are the latest pictures. Craig updating the latest photos and news while Mike drives. Barbara and Chris taking break. You certainly need energy to ride long distances - way to go girls. Stephanus, Satoshi and Ihab after their turn - you can see the sun now... it was not always the same. The new team starting off. at dawn and still at it.... soon they encountered cold and the tremendous rain. The weather is not helping them. A special mention goes to Prof. David Robertson, a part of the team, who will be cycling through the day. Donate to make a difference by clicking here. This June, the MBA program at IMD took me and the rest of the class to Argentina on a Discovery Expedition to provide a first-hand experience of what it is like to do business in a challenging environment. We left Argentina not only with a better understanding of the country’s business climate but also with an appreciation and empathy for its people and its development challenges. To make a difference, we are aiming to raise at least CHF 50,000 for LEER, an Argentine nonprofit organization that helps children under the age of five from poor families to get access to education and break the cycle of poverty. The funds will be used to build two alphabetization centers benefiting more than 800 children and 280 families. As Lausanne is the world’s Olympic Capital and there is no better way than sports to demonstrate commitment, endurance and teamwork, we will cycle, run, swim, kayak, rollerblade and paraglide 560 kilometers across Switzerland over two days (and nights). The intense fundraising relay will start early morning on Saturday 30 September and conclude on Monday 2 October. In addition to raising funds, we are sending a message: fighting poverty requires not one development aid but also international cooperation. That is why we will begin our challenge at the venue of the annual World Economic Forum in Davos and end it in front of the World Trade Organization in Geneva, where we will deliver an appeal to WTO Deputy Director Valentine Rugwabiza. Alternatively, you can use your credit card through PayPal. Go to the challenge web site to find the details: http://www.hands-on-argentina.org/ (click on “Donate”) Return to this site for the latest news on the fund raising drive over the next few days—more info and photos will be added. If you have any questions please do not hesitate to get in touch! The train drew across the Basel SBB across the Rhein. My heart beat faster as the train crossed the river symbolizing the border. As it flew past the brown and the green fields, the feeling of homecoming was strong. The last leg of the journey is always the longest. Sometimes I wonder how it can take an S bahn so long to go from the Karlsruhe station to the Wiesloch-Walldorf station – it seems like ages. 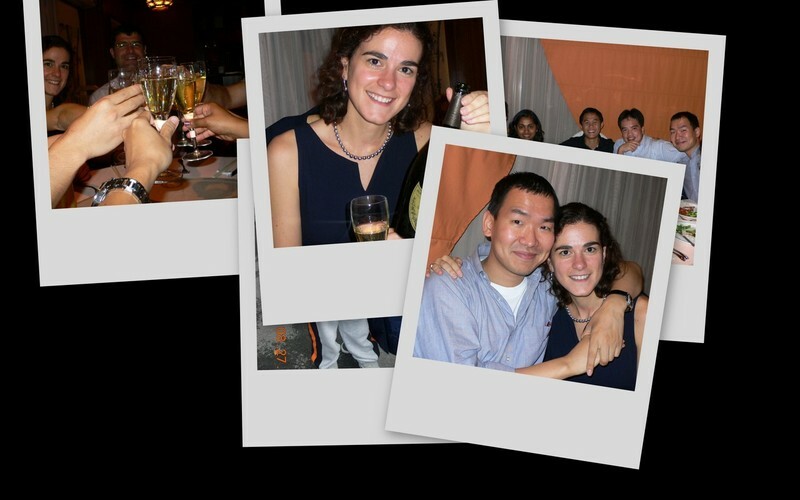 Not having lived in any place for more than 4 years before, the 5-years at Walldorf marked the longest I had stayed in any place in my life continuously. As I look for opportunities, this tug of the heart worries me – am I developing roots and that too away from India? It is almost as if I am scared of doing it. 6 years back when the option to go to Germany first presented itself and we were told that we will be away for 1.5 years and yet they wanted us to take a transfer. It was with trepidation that I accepted this – something told me I would not come back to India in 1.5 years. As years passed and we enjoyed this life we were living out the fear and yet not feeling bad about it. As I am about the take the next step, I wonder what sort of career I should take up. There are opportunities which can take me back to India immediately, in a short term and in the long term. My classmates are as confused about my decisions regarding which companies I want to apply to as I am- and my husband is waiting for the drama to unfold to experiment – where is this girl going? It becomes even more difficult when one has to take the decision oneself. It becomes easier when companies start rejecting you because you wrote about your grandparents in the cover letter – ok! I just wanted to experiment whether they were creative enough… and really believed in “feelings” as they said. Perhaps they do – but the feelings were different from the feelings which I believed in. I hate wordsmithing presentation with a distraction sitting next to me. This week also saw the first job offer that will surely be taken up - My good friend Maria is all smiles after the offer came through. We need to see whether we travel long distances to meet each other or whether we are close enough to meet once a week at least.